How Will You Watch Sports This Summer? Sports fans across the world are warming up and getting ready to watch nations compete for glory. For those staying at home to watch their team, ensuring they catch all the action on the screen requires careful planning and preparation. Thankfully, just as every squad member plays a vital role in bringing home the title, Samsung’s team of devices complement each other, each bringing something different to the viewing experience. As the buildup to the match begins, gradually more and more people begin to congregate around a screen. Yet those playing host might still be in the kitchen preparing snacks and drinks for their guests right up until kick-off. There is no need for anyone to miss a moment, as the seamless links between Samsung’s IoT devices mean that everyone stays connected. Before the game begins, hosts can search for recipes to serve their guests by utilizing the Family Hub refrigerator’s function, which aids food preparation by suggesting dishes based on the contents of your fridge and users’ preference*. 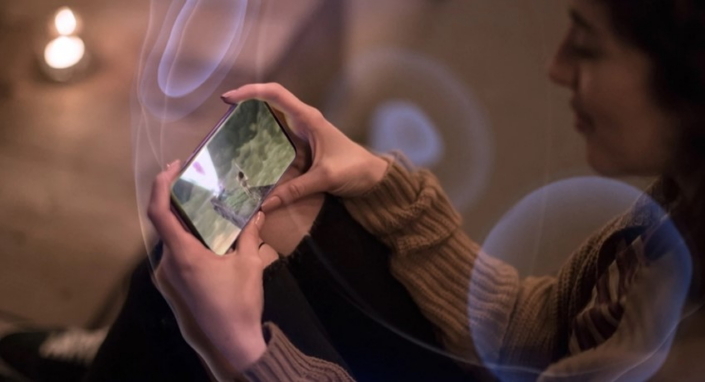 To heighten connectivity, people can share their reactions by uploading images from their Galaxy smartphones to view on their Family Hub refrigerator or Samsung Smart TV using the Gallery app. 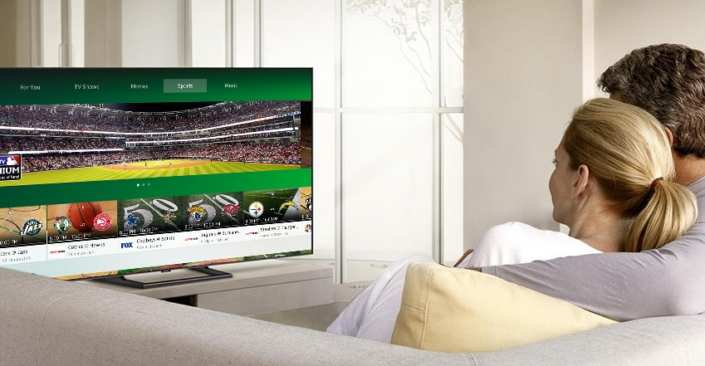 What is more, the connected touchscreen on the door of the Family Hub smart refrigerator can mirror the screen of a Samsung Smart TV or smartphone using the Smart View app, so that even in the kitchen, people can see and hear when the game begins. When it comes to watching a big match amongst family and friends, the bigger the TV, the better. As everyone gathers round to watch the game unfold, a larger screen ensures everyone can see the game. Samsung 2018 QLED TV range in size from 55-inch to 82-inch models, offering the large-screen viewing experience. In addition, the match can be enjoyed from almost any angle with advanced Anti-reflection technology. 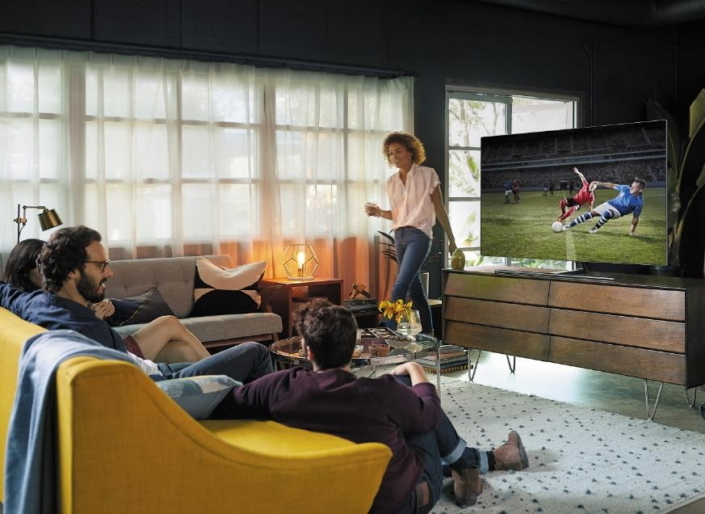 The stunningly sharp picture quality of Samsung’s 2018 QLED TVs is engineered to make the beautiful game look even more beautiful. The 4K Q Engine feature harnesses AI to analyze and optimize content, ensuring that the movement of the grass during play is clearly defined and without blur, providing a more vivid experience. Viewers can take in every pass and tackle with accurate color and contrast thanks to 100% Color Volume expression and Direct Fully Array Elite technology, which adjusts the brightness of each finely arrayed dot. In the stadium, both sights and sounds blend to create the atmosphere of the game. For viewers at home, true immersion is achieved when they hear the sound of a player kicking the ball into the net and the crowd roaring with delight. On Samsung 2018 QLED TVs, sound is optimized for a wide variety of content, so that sports fans can hear the action on the field and the voices of commentators with crystal clarity. During a major sporting competition or tournament, several events can take place at the same time, so finding exactly what you want to watch can be time-consuming. Samsung’s 2018 QLED TVs are equipped with a Universal Guide, which shows a selection of content updated in real time. Based on users’ preferences and the latest local trends, the Universal Guide recommends content, compiling TV broadcasts and streaming content, viewers to easily locate their favorite games. Viewers can also use the TVs’ intelligent assistant, Bixby*, to search for sport content via voice command. With competing nations in multiple time zones, it’s likely that many viewers will need to catch a game or two on the go. Busy people who still want to get the most out of their experiences can keep on top of their scheduled viewing with the Galaxy S9 and S9+. 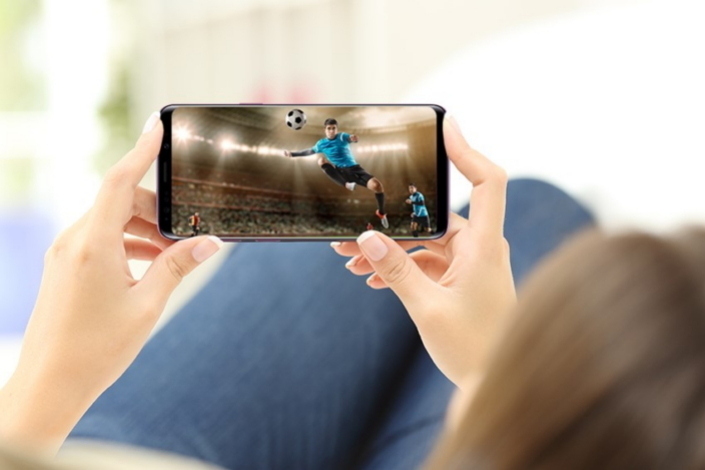 The Super AMOLED screens and Infinity Displays of the Galaxy S9 and S9+ maximize definition and space allowing viewers to see more. The HDR-capable display provides impeccable accuracy and Adaptive Contrast Enhancement achieves clear definition, even in direct sunlight. With an aspect ratio of 18.5:9, viewers are further captivated by the ever-so-slim top and bottom bezels so that the overall experience is like holding the green field in your hands. Fans will be pulled even further into the game by the stereo speaker sound system of the Galaxy S9 and S9+, tuned to meet the high standards set by AKG. The Galaxy S9 and S9+ also integrate Dolby Atmos® 360-degree surround sound technology, which benefits all content through enhancements to sound quality and consistent playback volume, bringing entertainment to life through both regular stereo headphones and the device’s built-in speakers. For the true multitasker, Multi-Window** allows users to simultaneously manage two windows on their screen, meaning on-the-move sports fans can keep an eye on the game in one window and use another app in the other window. For even greater flexibility, users can enable Landscape Mode and view the two windows side by side horizontally. No matter how or where people watch an event, their viewing experience will be crystal clear and fully immersive, as Samsung’s IoT devices, TVs, and smartphones work together to create the dream team for this summer’s sporting events. *Availability may vary by region. **The Multi-Window feature may or may not be supported depending on the apps.